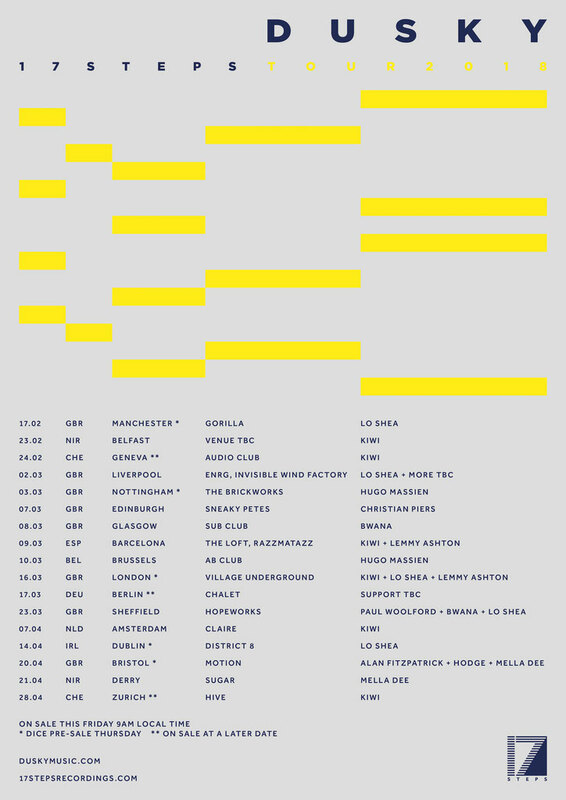 House and techno duo Dusky will embark on their first 17 Steps label tour, taking in 17 venues across 17 cities in the UK and Europe including London’s Village Underground, Claire in Amsterdam, Sheffield’s Hope Works, Gorilla in Manchester and Zurich’s Hive. 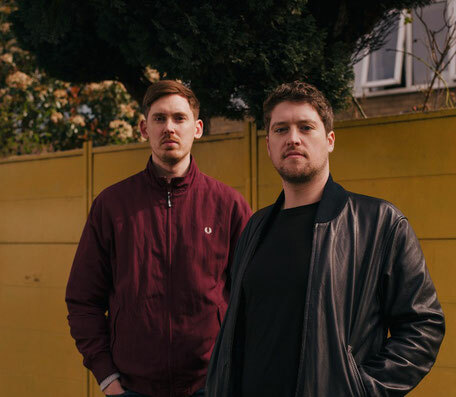 Originally starting the label in 2014 with the ‘Loving Taking Over EP’, Dusky’s 17 Steps has become the primary outlet for their own productions, but has also seen the duo curate a consistent stream of house and techno EPs from Kiwi, Bwana, Christian Piers and Hugo Massien - all of who feature as support across the tour. Alan Fitzpatrick and Mella Dee both play a special bill at Bristol's Motion, having previously contributed tracks to the label’s ‘Floor To Floor’ series. Hodge will also feature as a special guest at that event. Hope Works founder and recent Rekids contributor, Lo Shea plays five dates ahead of his forthcoming EP on 17 Steps.